Are you busy trimming up for Christmas? In our home we have a conflict in Christmas decoration styles. The children and my husband would love to have a house and garden filled with bright lights, I’m more for natural homemade decorations. 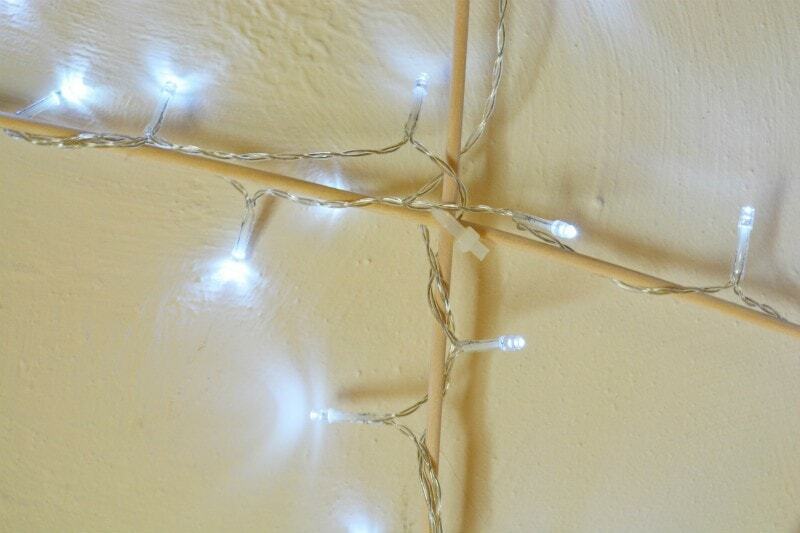 So when Go Cable Ties contacted me offering the kit to make a Christmas decoration light up star I was delighted – this ticks all our tastes:)!! To make your own is super easy – I used 5 dowelling rods 36″, some battery operated lights and some cable ties. 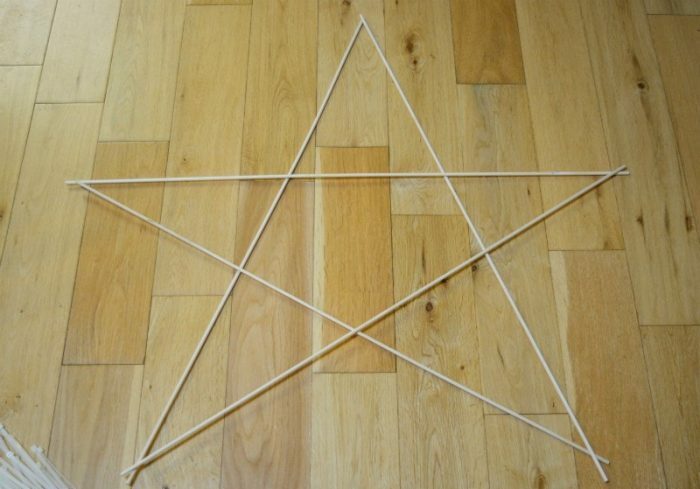 Lay out your dowelling rods – the lines in the wood flooring helped me with the proportions. 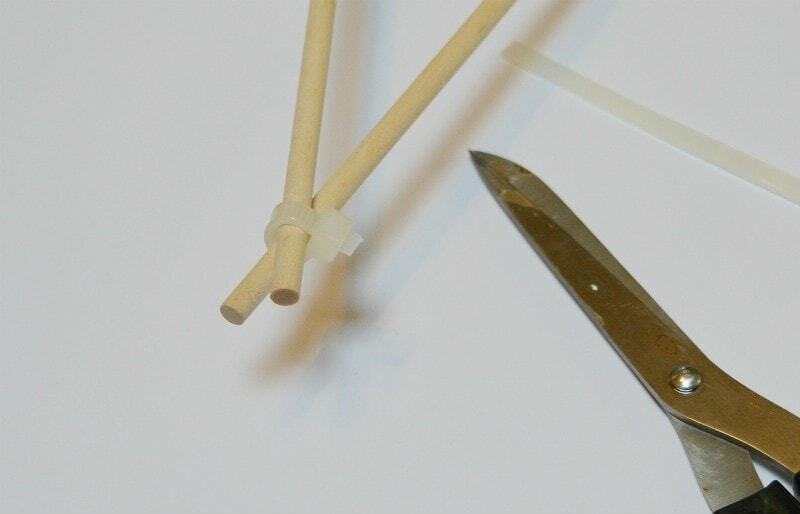 Lastly wrap the lights round and round the rods, or secure on with the cable ties. 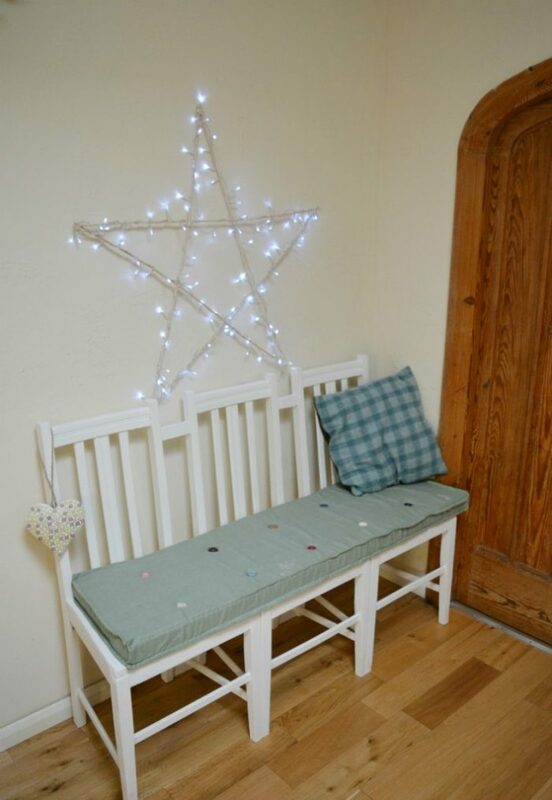 "DIY Upcycled Pallet Christmas Tree"
"DIY gift wrap – no wrapping paper in sight"